Belleville Church was first started in 1967 under the leadership of Pastor Bill Brown., located in Belleville, Michigan. Our current Pastor, Rev. Jack Daniels, has served with us the last few years and has taken steps to ensure the Church remains viable in the 21st Century. Belleville Church has been seeking to better its members and community through the power of faith and love. We have sought to create a welcoming environment for people of all ages, race, and trades. By creating many different programs, we help our members come together in faith and in everyday life. 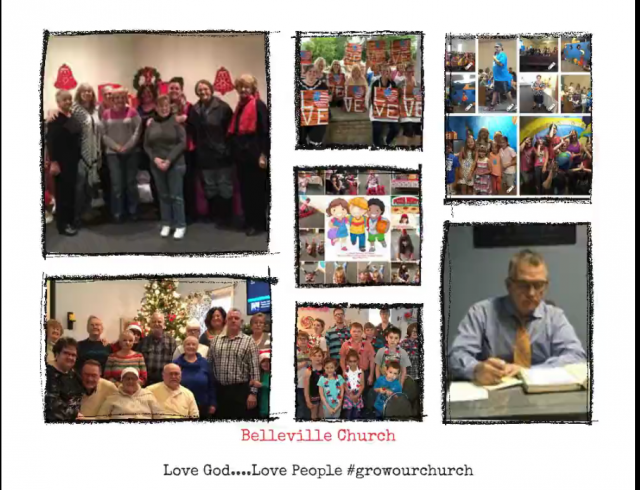 Belleville Church desires to spread God's love within the immediate community. We seek to enact community outreach programs demonstrating the love of our Lord and Savior. By doing this, we effectively aid our members and community just as we are taught to do in the scriptures. Prime Timers- Our age 50(ish) and over age group has lovingly been named the Prime Timers. They have sustained the church for many years. We look to them for leadership and experience in all we do. They meet for Bible Study on Sunday mornings at 10am, and have many fun outings, as well as being the best cooks around. BK- Belleville Kids- While you enjoy the 11AM Worship Service, your children attend a Worship Service of their own, which is geared to their age level and interests. This service is very kid-friendly and music and lessons are taught in a fun and interactive way. In addition to Sunday Worship Service, the BK's also meet during the Wednesday Bible Study. It is an interactive time for a lesson and worship, geared toward their own spiritual growth! P-413- Teen Ministries- This group has their own cool space where they enjoy hanging out, drinking coffee and learning God's Word on Sunday Mornings at 10am. This fun group does many activities and works together to grow their faith and their relationships. #growourchurch - We are very excited about our church and how God is growing us numerically and most importantly spiritually. We adopted this hashtag (#growourchurch) and are using it on all our church posts. Come and experience God's love with us and allow Belleville Church to usher you into our loving community.